Ella Nitters won the WIA2018 New Talent Research Category. 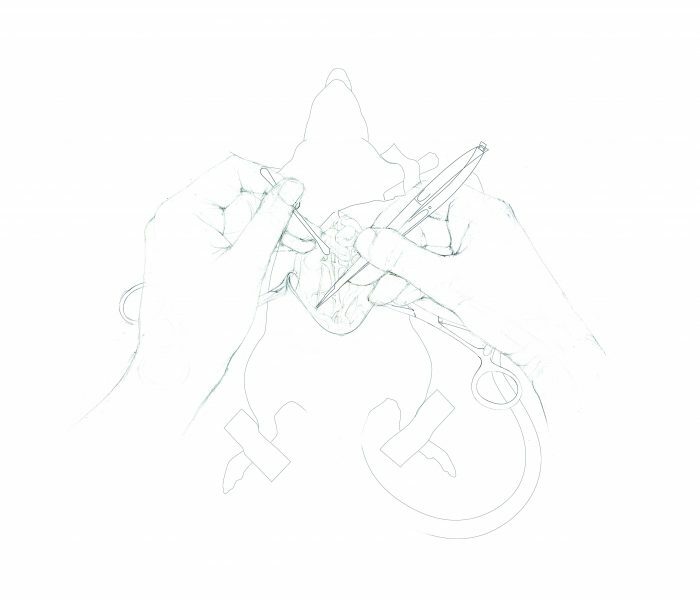 Here she tells us about the complex project to simulate a microsurgical intervention. This illustration was done as part of the master program Scientific Illustration in Maastricht, the Netherlands. 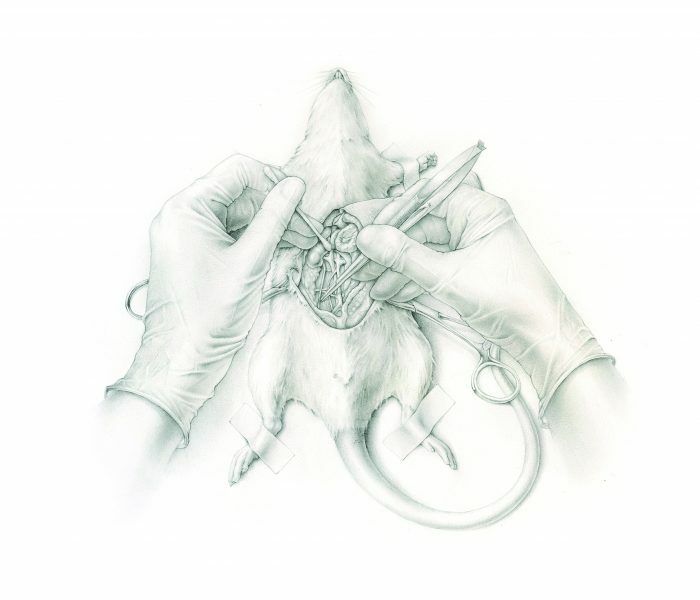 It depicts a simulated microsurgical procedure on a rat. The assignment was to create an illustration of a simulated surgical intervention on a rat, using available information and reference material from various sources, and combining this into one illustration. The information and images available as resources are not always ideal and often limited, so this was a good exercise to prepare for the everyday life of a scientific illustrator. To effectively visualise the various textures (rubber gloves, metal instruments, fur & the abdominal anatomy). To make an aesthetically pleasing image, even though the subject can be considered unpleasant, by using light colours and a soft, fine detailed drawing style. I collected all the necessary information and images (of rats, surgical instruments, gloves, and veterinary anatomy books), and used a plaster model of rat as a base. I used carbon dust combined with graphite pencil to create a black and white drawing, which I then coloured in Photoshop. I started out with some sketching of hands and instruments, before making the sketch that served as an underlayment for the final drawing. The black and white pencil rendering of this sketch was initially only meant as a study. The final artwork was supposed to be a watercolour. However, I was so pleased with the results of the carbon dust with pencil that it seemed a waste not to use it. It turned out to be very suitable for digital colouring. I gained a new combination of techniques, which I have used a lot since then. I was still working part time as a freelance creative illustrator at the time, and this was very hard to combine with studying. As client work always comes first, it was often hard to focus on school assignments. Just around 3 days of non-stop drawing and about 1000 photoshop layers. As described above, the project took a different direction than it was meant to, but that came out as pleasant surprise to me in the end. I would like to add the disclaimer that, because to the working method, no animals were harmed in this process of creating this illustration! 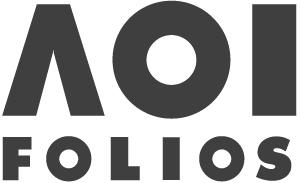 Ella originally studied Industrial Design Engineering and Illustration. She worked as a set designer & creative illustrator for several years before she decided to combine her interest in anatomy & medical science with her love for realistic and fine detailed drawing. She received her MA in Scientific Illustration in 2017 in Maastricht and is now working as a medical illustrator in Rotterdam, the Netherlands.